I hate it when people have some kind of el cheapo econobox from a different part of the world and try to ask premium money because they shipped it over to the USA. Why would I pay more than MSRP for some pile of junk that will barely pass Sri Lankan crash test standards and has 100k on the odometer? This next seller gets it right. 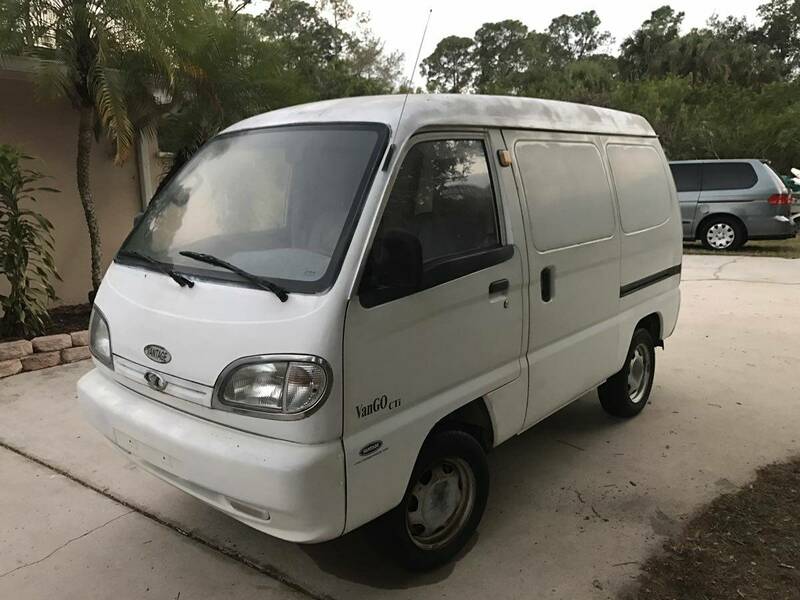 Find this 2004 Vantage Vango Cti offered for $1500 near Ft Myers, FL via craigslist. Tip from Dascpcu. You might get confused by the fact that this thing says "Vantage" on the front and you might think this is an Aston Martin -- but don't be fooled. Vantage built the Vango as an off-road vehicle for campus delivery/security use and it has a 1.0 liter 4-cylinder engine and a top speed governed for 40 mph. From what I can tell these are built in China but never licensed/titled for street use in the US of A. And it was brought here, why? Maybe it accidentally wandered onto a cargo ship in Guangzhou, and nobody noticed. Isn't that sort of how the Emerald Ash Borer got over here? People use these things in the middle of nowhere (where I currently reside) as UTV replacements. They have air-con and sometimes 4x4 and whatnot. They're also garbage, and parts are tough to come by when they break. And they do break, often. 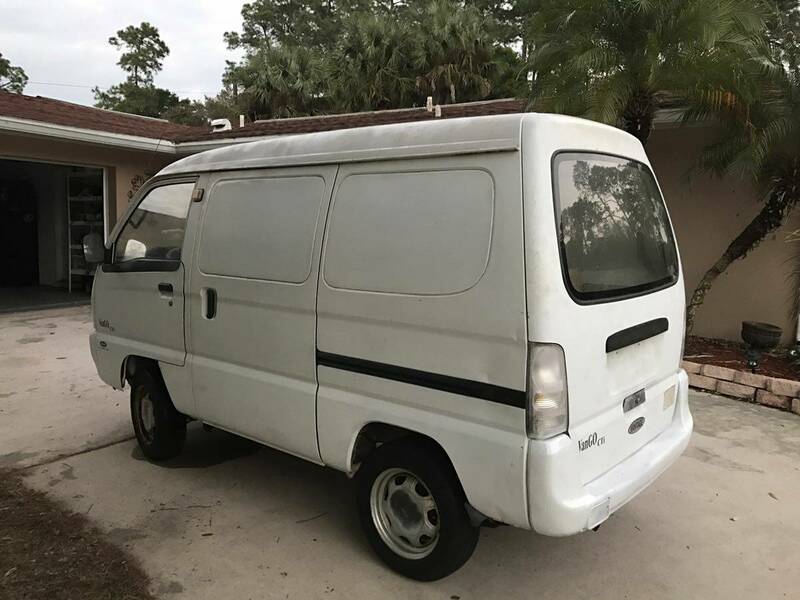 If for some insane reason a kei-van like this (or its "truck-all" kei trucklet) appeals to you, I suggest you look slightly higher up-market to the name-brand manufacturers, like Mitsubishi, Suzuki, Subaru (etc). They'll be about 4x more expensive, but things will actually work, mostly.